Budgeting isn’t easy. It takes motivation, self-control, organization and a lot of time. Fortunately, there’s a way to handle the organization (which helps with the motivation and self-control) and save a lot of time: Budgeting apps. That’s right. Your phone can be your best partner when it comes to taking control of your financial future. There are a series of apps that are out right now that can handle every part of your budgeting. Better yet, most of them are completely free to you. 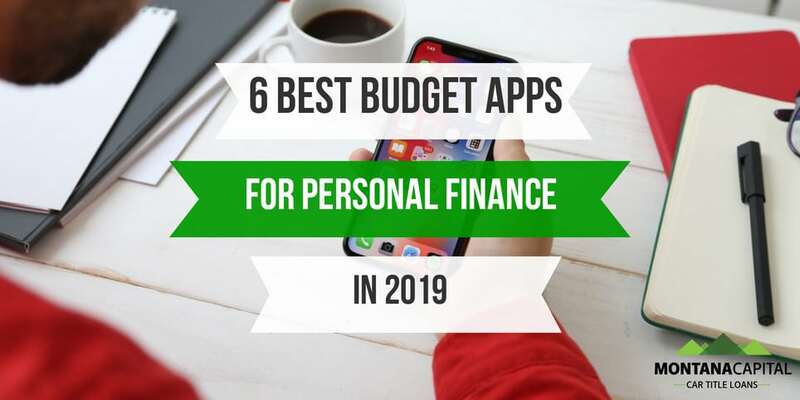 Here are the best apps for budgeting in 2019. You need A Budget is a friendly little budgeting app that provides most of the functions you need to track spending, assign savings and plan for the future. It’s one of the most popular budgeting apps out there, so it has a large community and regular updates. There are so many features that it can be a little complicated for beginners. Fortunately, there are a lot of resources available on the site. You can learn more about the features by going through one of the hosted classes or by using one of the large guides provided in the support area. Personal Capital is a more specialized app that enables you to keep close track of your net worth right from your phone. It combines reports from your banks, investment portfolio, and even your property values. More than most of the other personal finance apps covered here, this one is designed for wealthy users. It’s a popular app, with more than 9 billion dollars currently tracked by all users combined. The full app is available for most tablets and desktop computers so that you can seamlessly monitor your money from your workstation or on your phone. Acorns is a great personal budgeting app that’s designed to help you invest without even noticing. The idea is simple: When you make a purchase, like your groceries or a cup of coffee, Acorns rounds the charge to the nearest dollar and the deposits the extra into an investment account. Because you’re only spending a few extra cents per purchase, there’s almost no risk that you’ll spend more than you intended. At the same time, the amount Acorns stashes away can add up impressively over very little time. You can choose to have the amount you accumulate added to one of several portfolios, either conservative or aggressive. Mint is another general budget app like YNAB, but where it shines is the features it has available to track your bills. Instead of just having a field to fill in your monthly bills, it saves each one as its own item and then provides you with data and alerts that help you keep track of each one. Mint is designed to make it so that you never have to worry about missing a payment and drawing extra fees ever again. You can see the balance of your accounts vs. all incoming bills so that you can be warned in advance if you’re in danger of overdrafting. Tycoon is truly a budget app that was made for 2019 because it’s one that recognizes a common feature of the modern job market: Gig. It’s an app designed for people who have more than one job to track or a series of jobs that may begin and end within just a series of months. It was designed from the ground up by a Freelancer, so it’s packed with features that freelancers in particular really need. In addition to these basic functions, the app also allows you to export all the data that you’re tracking directly to an accountant. This can save you a lot of time during tax season. Coinbase is an app that allows you to keep better track of the diverse currencies in your budget. In the modern age, people aren’t always just budgeting in one currency anymore. If you’re using e-currencies, FOREX funds or other sources. By using all or a combination of these apps, you can take complete control of your budgeting process. Thanks to the many features, you won’t have to worry about losing track of your bills, forgetting to save or mismanaging the money you have coming in. Use them all to start building a better financial situation today.